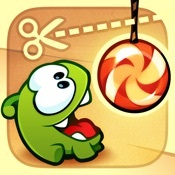 Help candy-junkie Om Nom get his treats by working your way through rope-cutting puzzles. Bird flinging, pig grunting, castle-toppling fun for the whole family! By flipping, sliding, and turning, kids explore symmetry and math reasoning in fun, challenging puzzles. An outstanding study guide to The Bard's famous play featuring the voice talents of Kate Beckinsale and Michael Sheen. A unique art creation app about making faces using collage materials. 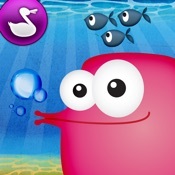 Preschoolers explore 3 underwater scenes to find hidden objects. A breathtaking rendition of Lewis Carroll classic for the whole family! 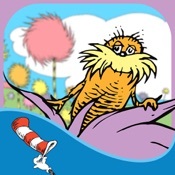 This comprehensive art app is a great way for budding artists to express themselves.